Is your computer running too slow? 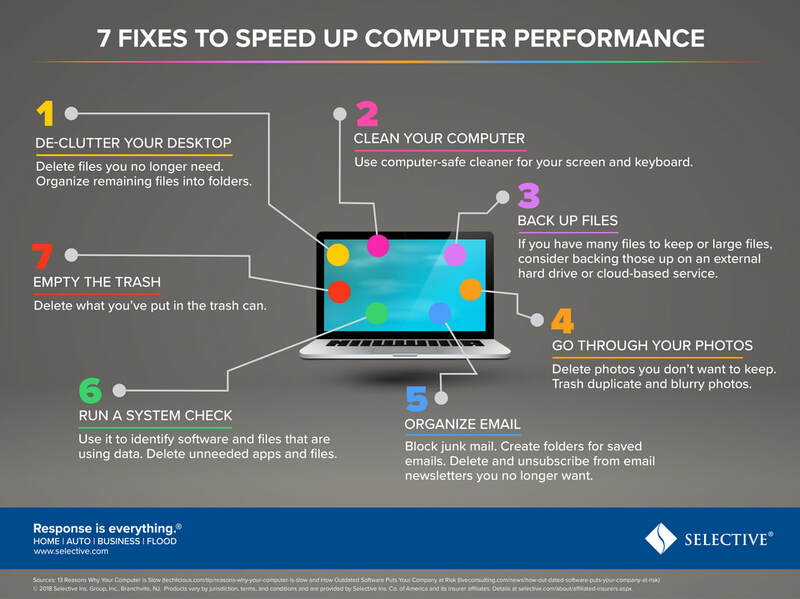 Check out the tips below to help ensure your computer is operating optimally. We rely on technology for both personal and business uses. Be sure that this technology is properly protected with the right insurance policy. Speak to an agent about finding the right coverage.